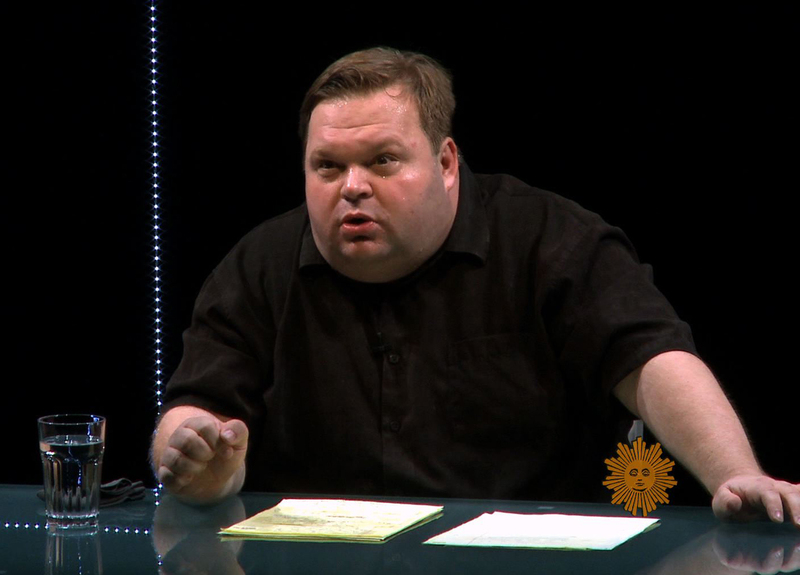 (CBS News) American author Mike Daisey has released an apology for false information presented as facts in his one-man show "The Agony and Ecstasy of Steve Jobs." "When I said onstage that I had personally experienced things I in fact did not, I failed to honor the contract I'd established with my audiences over many years and many shows," Daisey said on his blog Sunday. "In doing so, I not only violated their trust, I also made worse art." Daisey went on to apologize to colleagues who specialized in the non-fiction and documentary genre, acknowledging that he may have made their jobs more difficult. "Things came out of my mouth that just weren't true, and over time, I couldn't even hear the difference myself," Daisey said in an apology to journalists. On March 16, the public radio program "This American Life" retracted an episode wherein Daisey talked about his experience at the controversial manufacturing plant Foxconn, which makes products for companies like Apple, Microsoft and Amazon. Many of the allegations made in "The Agony and Ecstasy of Steve Jobs" were false. Daisey's initial defense was to stand by his work as a theatrical piece, not journalism. At that time, the monologist did not issue a formal apology. Daisey made headlines with "The Agony and Ecstasy of Steve Jobs." In the critically acclaimed show, Daisey recounts his visit to Foxconn in Shenzhen, China. During that visit, Daisey allegedly met with Apple iPhone workers who claimed to be poisoned by a chemical called n-hexane, interacted with a man who had never seen an iPad and met with underage workers. Soon after the episode of "This American Life" aired, the New York Times published an in-depth series of investigative reports of Foxconn working conditions. The reports were damning and sparked a firestorm of media attention and petitions demanding Apple to put pressure on Foxconn to improve working conditions. Apple responded to allegations of poor factory conditions by hiring independent auditors. Foxconn manufactures over 50 percent of the world's electronics. Besides Apple, the factory's client list includes major corporations like Samsung, Sony and Hewlett-Packard. The company has been scrutinized for a spike in suicides in 2010, factory explosions detailed in the Times article and covering up poor working conditions during audits.